Tinker Hatfield did not have a meeting before they drew up designs. Tinker had an idea. If you’ve ever watched Michael play then you would see the resemblance between him and a panther. Michael Jordan would watch his players, and all of a sudden he would make the move, and before you knew what happened Michael had the ball. 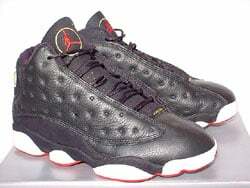 In 1997-1998 five models of the Air Jordan XIII was released (retail for $150.00), and two low models (retail for $130.00). Jordan Brand re-released the Air Jordan XIII in 2004-2005. Six color ways were released and were going for $150.00. 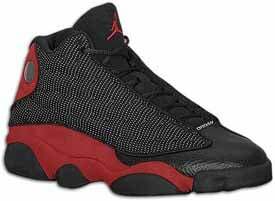 Also six color ways of the Air Jordan 13 lows were re-released in 2005 which went for $130.00. Two different color ways of cleats also released ($99.99).